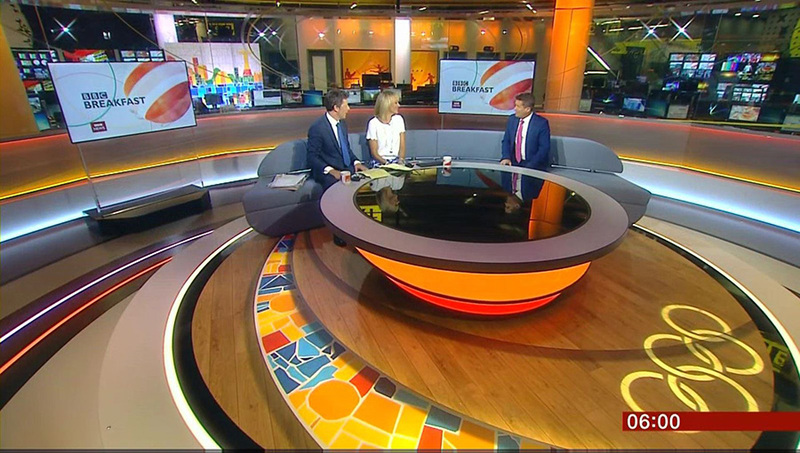 BBC’s morning show, “BBC Breakfast,” has relocated to the studios of BBC Sport at MediaCityUK in Manchester for the Olympics. The studio space, which was originally designed by Jago Design, has been updated for the duration of the Olympics by designer John Hemsley. The new riser features a colorful mosaic, mimicking the Selaron Steps in Brazil, with a gobo of the Olympic logo. 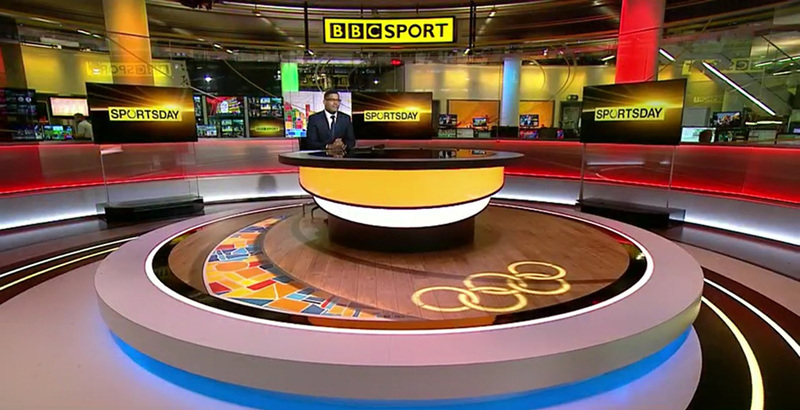 A desk has been added that matches the networks Rio look with a backlit curving front, and is also being used by BBC Sport throughout the day for sports programming. 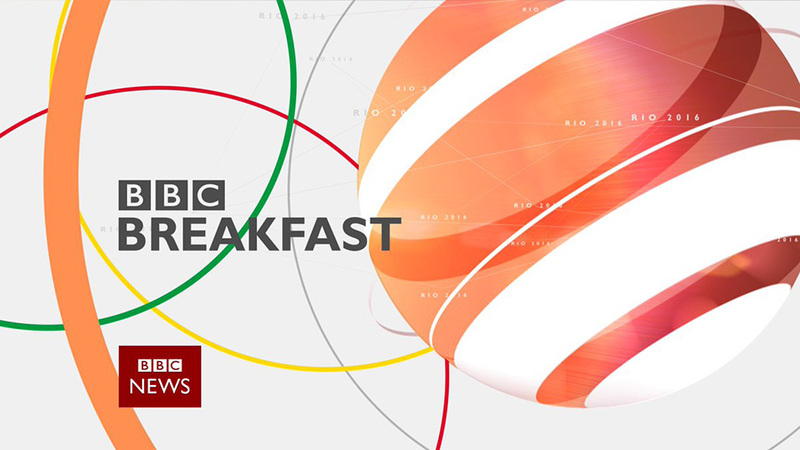 Along with the move, “BBC Breakfast” updated its opening titles with the help of James Mobbs to add Olympic references and new visuals, featuring a remixed theme from David Lowe. Screen grabs courtesy of TV Forum.